We offer a full range of property management services tailored to you as an investor, homeowner, or landlord. We have an extensive knowledge of apartments, townhouses, condos and single family homes in the Round Rock area. If you’re an agent seeking a partner property management company in the Round Rock area, we are grateful for the business and will remain loyal to you as a partner. Please see our Agent Referral information to find out more about ways we can partner to help one another. Tenant placement services may be suitable for a hands-on investor who lives locally in Round Rock. However, this service might stretch the capabilities of an out-of-town investor, or an individual with several properties significantly. For these owners, we certainly recommend the Full Service Option. 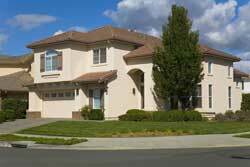 Do you own a single-family home? If you’re considering renting out your home in the Round Rock or surrounding area, request a free,no-obligation, market analysis. We’ll share our deep experience in the Round Rock rental market to answer questions like: How much rent should I charge? How long will it take to rent the home? How can I screen tenants and manage the property?